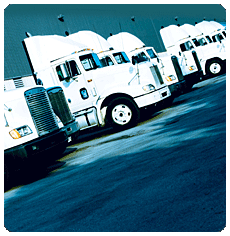 The FreightDATA Intermodal Dispatch module provides your dispatchers with the flexibility they need in taking pick-up orders from customers and assigning them to drivers. Your dispatchers will have all the information they need on-line on easy to view screens. Pick-up requests are entered as they come into dispatch . The dispatcher enters the shipment information into the system and fills in the blanks on the screen, which include Broker, Origin, Destination, Container #, Reference/Bill of Lading #'s, Pieces and Weight. The dispatch display offers several options for viewing the pickup orders. Pickups can be viewed by Open, Open/Complete, Spotted, Last Free Day, Detention Pending, Pick Up Appointments, Delivery Appointments or All.